Kids may not love going back to school — or for the older ones, shopping for clothes with their parents — but they do care about looking trendy. Teens and younger children can start thinking about their first day outfits while it's still summer and older kids often stress about having enough stylish clothing in their closets to carry them through the fall. Here's a round-up of the top 10 back-to-school jeans and denim trends for girls and boys this year, from boyfriend jeans and denim jackets to colored jeans, the return of vintage wash jeans for kids and more. Embroidered and embellished denim fabrics — still trendy for moms too — promise to be a popular trend for your daughter this fall. Embellished jeans and denim jackets will help kids, from the elementary set right up to teenagers, make a fashion statement for back to school. While the most popular printed denim last year featured bold graphics such as stripes and polka dots, this year's must-have styles are all about a more painterly, decorative style. Think graphic prints, florals embroidery, and more abstract patterns. Kids can wear this fun and youthful denim trend with sweaters, long-sleeved tees, button-downs and fall coats for a fashionable look their young friends will admire. The chambray shirt is a go-to fashion staple for boys and girls alike this fall. This surprisingly versatile clothing piece can be worn so many different ways, to suit your kid's individual style. Girls can wear a chambray denim shirt untucked and unbuttoned over complete outfits as a stylish stand-in for a jean jacket. Or it can be belted into girls’ slim boyfriend jeans for a modern double denim look. Boys can wear a chambray shirt just as they'd wear a button-down. It's a fashionable choice for layering under a sweater with the collar peeking out, wearing open and untucked over a tee-shirt, or with black jeans for a cold-weather update on a classic double denim look. If you're a parent who's not a fan of body-hugging skinny jeans for your daughter, you'll love this trend. When it comes to buying your girls jeans for back to school, boyfriend jeans are going to rival skinny jeans for top place on most teens' wish lists. These boyfriend jeans aren't like the ones her mom may have worn back in the day, though. The modern trend is for a "skinny boyfriend" style that fits fairly well through the legs, falling in a straight line from the hip (much like typical straight leg jeans) and ending above the ankle in a casuallyrolled cuff. The overall effect is relaxed without being sloppy, which is something both moms and daughters can get behind. These jeans come in a range of finishes, from clean vintage washes to distressedstyles with artful rips and tears. Much like the "dad jeans" trend for grown-up men, this fall's most popular boys' jeans have a relaxed, unfussy vibe. The trendiest jean for boys and young men this back-to-school season is also the most comfortable. It's the classic, relaxed straight cut jean that fits well in the rear and is roomy through the legs. The coolest jeans for boys have a vintage look, with or without distressed details, that will actually look better when they become worn in with wear and play. Denim with rolled cuffs is going to be trendy for boys too -- great news for moms who can skip the sewing machine and just fold up their sons' too-long jeans. Here's an easy, trendy denim staple for girls wanting to head back to school in fashion this fall. Slim black jeans will make her look instantly stylish. Better yet, they go with just about everything in her wardobe, from denim jackets in every shade of blue, to sweaters, button-downs, tee-shirts and hoodies. This fall, you'll see the return of colored denim for kids and teens as a key back-to-school fashion trend. The trendiest denim colors for girls will be muted shades, such as dusky rose, dark greys, russet red and faded army greens. For the most stylish look, girls can pair their colored jeans with the must-have chambray shirt, tucked in and accessorized with a skinny belt. Boys will look fashionable for fall in muted grey jeans, which can work like a neutral in their wardrobe, pairing with everything they'd otherwise wear with basic blue jeans. Cropped jeans are a huge fashion trend for women this year, and your teens will want to get in on this stylish trend this fall. The modern cropped jean is something different than her mom's (now old-fashioned) capri pant, for its new shape, which is cut straight through the leg and flares out gently at the bottom, which can hit one to several inches above the ankle. This jean is also easy to roll up at the hems, creating an instantboyfriend jeans look. She can wear this jean with bare ankles to look trendy for back-to-school, adding tall socks in fun patterns when the weather transitions to cooler temperatures. The classic, waist-length denim jacket is a key fashion item for kids and tees going back to school this fall. 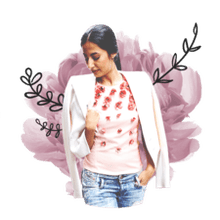 A jean jacket in a vintage wash is the one they'll be asking for -- and kids and moms alike will dig how it makes a versatile topper for any school-day outfit. 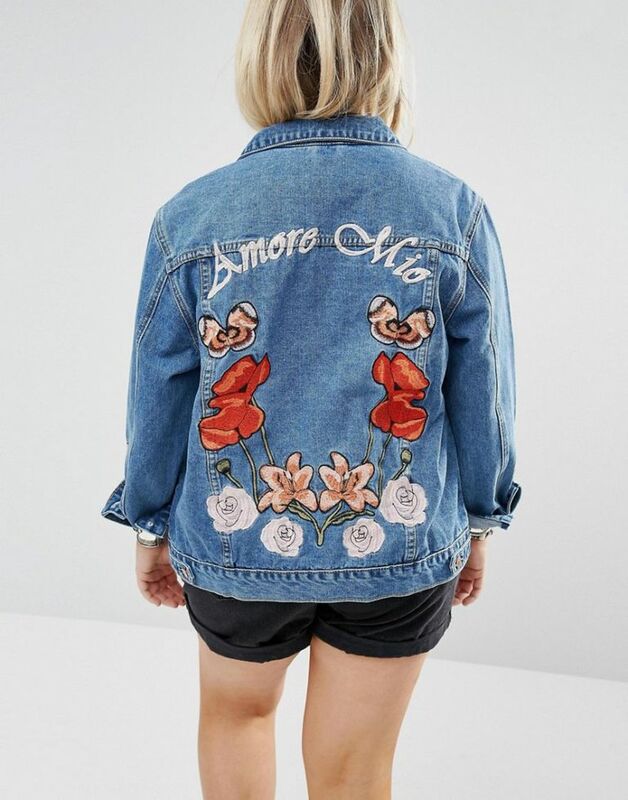 Girls can wear a denim jacket over their summer dresses to easily transition summer clothes into fall, especially when worn with trendy sneakers or flat ankle boots. Boys can layer this staple over just about any outfit, from button-downs and sweaters to simple tee shirts and trousers. Boys heading back to school will look stylish in relaxed, straight-leg black jeans, which pair easily with just about any top in his closet. Younger boys will look adorable when you layer a denim shirt over black jeans, while older teens will find that a tee-shirt and bomber jacket is the perfect combination for looking casually cool. Sorry parents -- skinny jeans remain the gold standard in denim fashion for girls going back to school. This versatile staple is as easy to combine with her other separates, as those leggings she pulls on automatically. You can find skinny jeans for girls and teens this fall in a wide variety of fabric washes, from light to dark, and finishes from clean to ultra-distressed. Just keep her school's dress code in mind, before you invest in the ripped skinny jeans she'll beg you to buy.